smonk you: the best freaking daddy blog ever: Gear Thursday: some of our favorite Etsy finds. smonk you: the best freaking daddy blog ever: Gear Thursday: some of our favorite Etsy finds. I get emails almost everyday, sometimes a couple times a day from paypal letting me know that I've paid somebody for something. It's because Staci is a bit addicted to Etsy. I thought I'd share with you some of our fave finds...there are of course a lot more, but these are rising to the top to me right now. 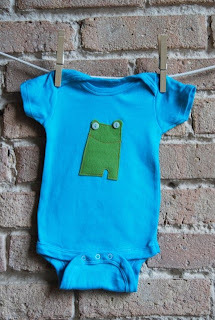 The first is Urban Thimble they have super cute onesies/bodysuits. Minimal felt graphics on good quality clothes, the one we got was American Apparel. Sadly I just found out she's giong out of business so if you're digging this from you should head to her store and snap some up. Staci did find Finch Design and they offer similar stuff. The baby bodysuits (what's the difference between a body suit and a onesie?) are all fair trade which is awesome. You can check out the Finch Design stuff here. 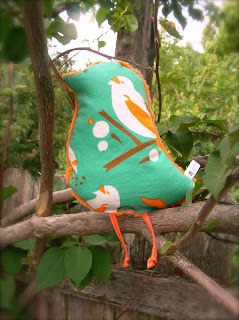 Next is One Lucky Baby...maker of cool, super soft blankets and little stuffed animals called tweets. 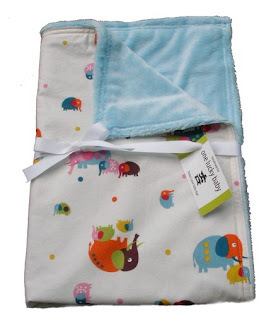 We just grabbed a the blanket shown, but might pick up some tweets, because they are cute...we need to see how the room goes first. That blanket however is awesome...the minky side is that crazy soft fabric that didn't exist when I was a kid, and the other side is a great vintagey pattern...a ton of patterns and color combos are available here. And last, one of our all time faves and sponsor of my first contest is Orange Rhino. Super simple awesome designs on high quality American Apparel gear...my fave is the Brown Owl hoodie. Their Etsy store is here. Well a bit of a down and dirty post because I'm laying low this week as we jam to put the final touches on the baby room and get ready for a baby shower this weekend. And if you have 1.6 more seconds please click on the banner below. It will give me a vote and all you need to do is click it. Thanks. 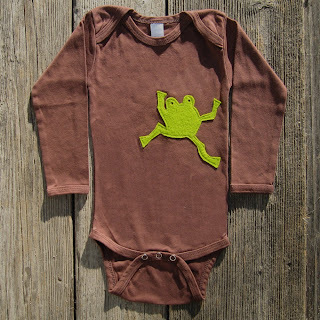 The frog on the brown onesie is my favorite, although that little monster-thing is pretty cute too. Are you finding American Apparel runs small, or is Miloh too tiny to tell right now? Oh, and the Iron Maiden custom shirt? Sick (as in realllllly cool).